The practice of dentistry involves more than fillings, crowns, and braces. While these services are important, dental care also is about how your oral health affects your overall well-being. 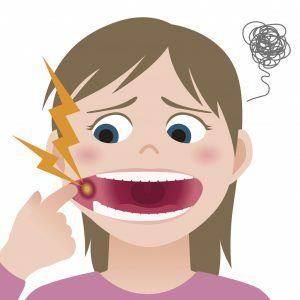 During April, Oral Cancer Awareness Month, your dentist in Washington, DC, Dr. Yelena Obholz, asks you not to miss your oral cancer screening at Aesthetic & Family Dentistry of Washington. It’s quick, painless and part of regular dental examinations for patients of all ages. The American Dental Association states that more than 42,000 people in the United States are diagnosed annually with oral cancers. When undetected and untreated, these lesions affecting the lips, tongue, the roof of the mouth and back of the throat can be deadly. However, when discovered at their earliest stages, cure rates are high. Dr. Obholz screens all her patients because people often develop oral cancer without having any of the common risk factors. When your family dentist in Washington, DC performs oral cancer screening, she uses both a visual and a hands-on approach. Grasping the tongue with a sterile gauze pad, she carefully looks for lumps and lesions inside the mouth (back of the throat, cheeks, tongue, palate) and on the lips. Also, she feels the jaws and sides of the neck. When you see your dentist regularly, she comes to thoroughly understand your oral health, overall health and goals for your best possible smile. Please don’t delay. Contact Aesthetic & Family Dentistry of Washington today for your complete dental exam, including oral cancer screening. It’s great insurance for a healthy mouth and a healthy you.